We are delighted to be recognised once again as a Top Rated IFA by financial adviser review site VouchedFor.co.uk. The award is bestowed upon around 400 advisers across the country, and only 8 other IFAs in Newcastle, Gateshead or the North East have achieved the website’s top-rated status, making Vital Wealth Management a reliable resource for current and prospective clients in the region. Vital’s MD Graeme Pegman, who previously attained VouchedFor’s Top-Rated status back in 2013, was delighted to be one of the IFAs featured in the Main on Sunday’s ‘Financial Professionals’ supplement. 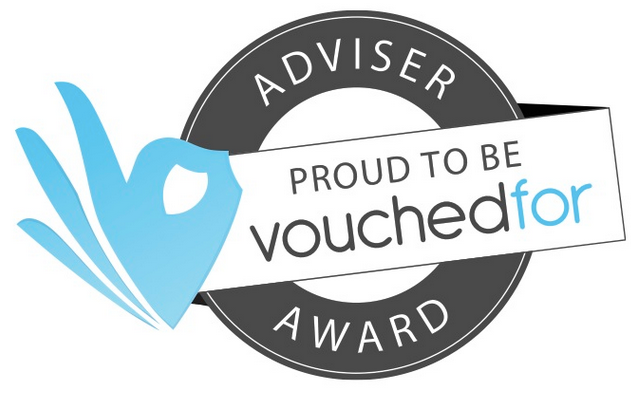 We are delighted to be recognised once again as a Top Rated IFA by financial adviser review site VouchedFor.co.uk. The award is bestowed upon just 200 advisers across the country, and only fifteen others in the region have achieved the website’s top-rated status, making Vital Wealth Management a reliable resource for current and prospective clients in the North East. Vital MD Graeme Pegman previously accrued that exalted status back in 2013, and was delighted to be one of the 200 IFAs featured in the Main on Sunday’s ‘Financial Professionals’ supplement. Choosing the right adviser has never been more important than today, particularly with the new pension changes coming into play, and Graeme hopes that the award sees more locals seeking advice on their money matters. When foodies or travellers are scoping out restaurants or holiday destinations, they check the reviews on TripAdvisor. Those hankering for a new set of wheels might check out Autocar or Auto Express first. Checked and Vetted allows people to find trusted tradesmen with the click of a button. And for those seeking independent financial advice? VouchedFor.co.uk is the place to go. The free service helps people find a recommended independent financial adviser, mortgage adviser, accountant or solicitor. Visitors can search the site based on location and services provided, bringing up a list of advisers and their respective reviews. In short, it affords users confidence that an adviser can be trusted, and allows them to make an informed choice based on their requirements and their prospective IFA’s testimonials. Vital Wealth Management prefer not to overcomplicate matters with graphs, charts and indecipherable industry jargon, placing the focus squarely on the person rather than the product. Graeme earned his Top Rated status by accruing many positive client reviews since 2013, several of which can be found below, and throughout our website. Graeme earned his Top Rated status by accruing over fifteen positive client reviews, many of which can be found below. Graeme is the first adviser I have worked with who challenged my thinking about what I needed from my financial products. I had various preconceptions prior to my first meeting with Graeme and rather than talk to me about products, he asked me about my family, my aspirations and my lifestyle. "Graeme has a pleasant manner, is easy to talk to, explains issues very clearly and we are delighted to recommend him. His advice to date has proven beneficial to us and we have full confidence going forward with him." To find out what we can do for you and your lifestyle, get in touch with us via the contact form below, or by using the telephone number and email address provided.